Tosilog as I know it, is a popular Filipino breakfast. The name derives from the different components of the meal, tocino (cured pork), sinangag (garlic fried rice), and itlog(egg). I do not have a problem eating this for breakfast, but it has become more of a lunch or a dinner dish in my house. 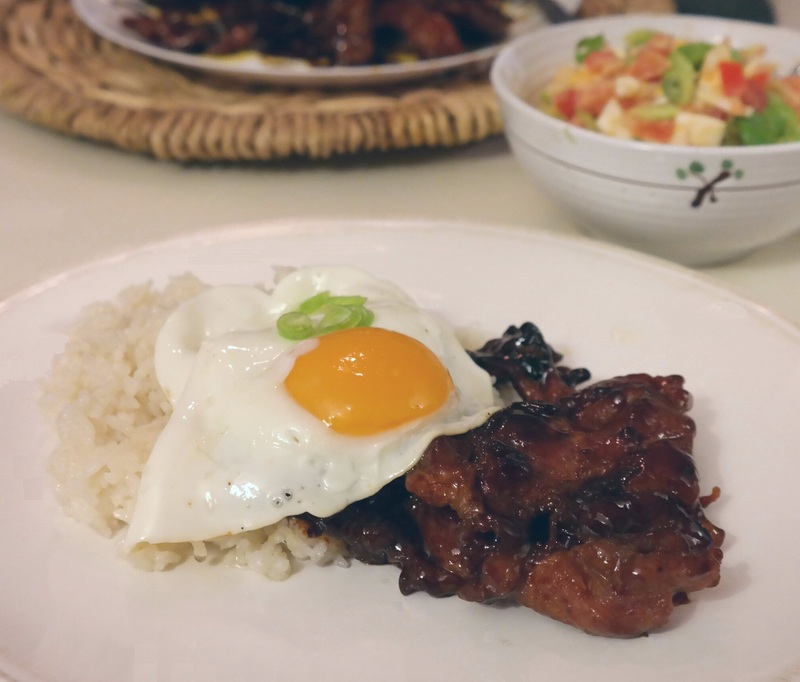 The tocino I have made myself for years has been by using Mama Sitas Tocino powder, and is not quite the same as the one I like from the Philippines. The home-made tocino I have tasted here in Norway have been missing something and I have not been able to recognize the missing flavour. Then someone told me that there was sweet anise liquor in the marinade. I just had to buy anise liquor next time I was travelling, since I have not been able to find it in Norway. My brother told me that he used Sambucca and Hot & sweet(Scandinavian licorice snaps) and still got great results, but of course with a slight taste difference in the finished result. Fun fact, liquorice is a popular candy flavour in Scandinavia and it has become quite popular in Scandinavian cooking. Combine all the ingredients in a except for the meat in a blender and blend into a smooth mixture. Store the covered container in room temperature for 14 hours or in the fridge refrigerated, but that would take at least 3 days to complete. Cook tocino by boiling it with water that almost cover the meat and some of the marinade on medium heat. The meat gets tender as the water starts to boil. 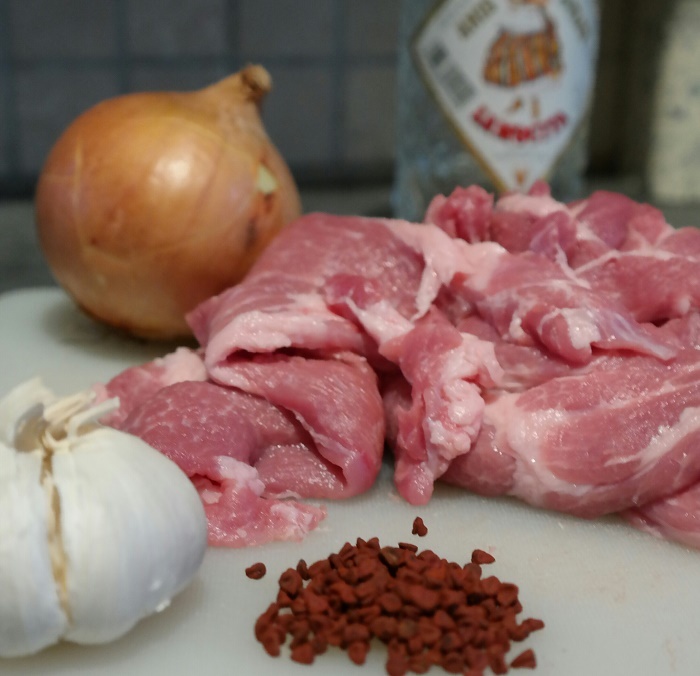 After a while, the water evaporates and the fat from the pork will be left. This will fry the meat. Make sure to turn the meat over after a few minutes of frying to cook the opposite side of the tocino. Doing this will give you a tender and delicious pork tocino that is cooked just about right.